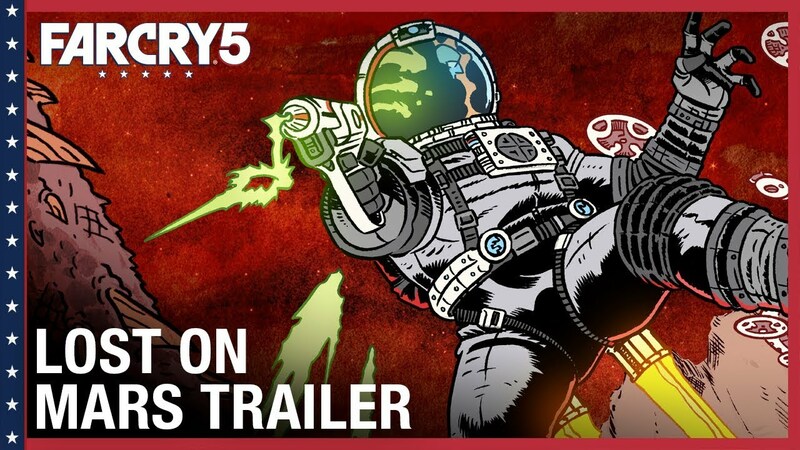 In the second supplement to Far Cry® 5 "Prisoner of Mars" you have to leave the Earth and fight the Martian arachnids in order to stop the alien invasion. Rise above the dunes and canyons of the Red Planet on the jet pack and destroy the deadly arachnids with lasers to save humanity, before it´s too late. • Dangerous adventures on the fourth planet from the Sun. • Arachnids - a new alien threat, similar to which in Far Cry yet was not. • New meetings with Nick Ray and Herc from the main campaign Far Cry 5. • Woe-blaster is a single-shot space weapon from the most reliable alien parts. • Hellfire - when firing it releases 15 laser balls, causing serious damage. • Morphinator is an explosive surprise that will turn a hunter into a victim. • Jet pack - allows you to overcome gravity and move over the surface of Mars. Also available under Far Cry® 5 Gold Edition and Season Pass.